Having our past mistakes be constantly brought up and used as a standard for who we are as individuals in the current day is infuriating. 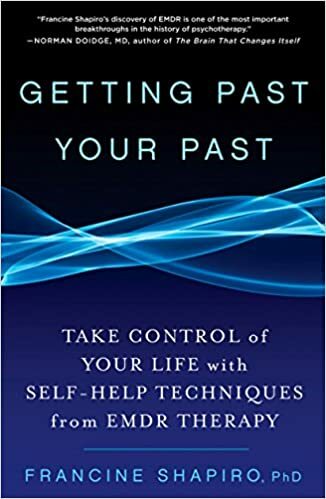 Though our past mistakes were controllable in the moment, their existence poisoning how others perceive us is out of our control. As if in an invisible prison of perception, those with knowledge of our past misdoings can use that information to discredit, disrespect, and dis-value our future output into the world. It so consistently seems that our past mistakes garner more attention than our past acts of kindness, honorable behaviors, and victorious moments. The barriers to giving someone a good name to live up to by utilizing times they’ve exhibited virtue seem to be mightier than reminding them of their mistakes. Mistakes are loud, and vibrant in their visibility. They cause ripples in the social fabric across individuals, are are easy to tag our negative opinions onto. Victorious acts however, can shroud themselves in mundane behaviors. They’re sometimes difficult to latch onto, and even more difficult to socially reward. The admittance to, and act of rewarding, someone else’s past victories takes a secure individual to perform. Those insecure with their own achievements tend to shy away from recognizing the legitimate achievements of others around them. This article is about the power that reminding people of their past victories carries with it. In the realm of casual conversation, a reminder of someone’s favorable past can benefit you in ways you may not expect. Akin to the concept of giving people a perception to live up to, using past events which have already occurred takes it a step further. Rather than enticing someone to believe they can be someone they were not in the past, you can use their past to prove to them that they are indeed already a victorious and virtuous individual. Practice finding even the most minute victories in someone’s past and making it a habit to bring them up in conversation. These past victories would serve as a scaffolding for that person’s future behavior around you. Since those events would be factual happenings, there would be even less excuses for the person in question to deviate from that positive perception. That individual will keep throwing logs onto the fire that is the perception you establish through factual happenings of the past. They’d not only act more favorably around you, they’d also tend to be around you more often. This concept is illustrated by our desire to attend classes we do well in, rather than classes in which we struggle during our time in school. It is also illustrated by our desire to attend work meetings in which people view us as a valuable contributor, rather than meetings in which our work is picked apart and attacked. The perceived history of our performance in life plays a significant role in our desire to be around the people who hold those perceptions. If their perception of our past is a negative one, we’d be less willing to be in their proximity. We’d perceive them as undermining our improvement over time, and would fear that they view us through a lens of negativity. Those who perceive our past with a positive outlook would tend to make us like being around them more. We’d perceive those people to hold a similar sense of belief in us, as we do in ourselves. We’d view them as being correct in their perception of us, even though they may in fact be seeing things through rose-colored glasses. Keep these tendencies in mind when speaking with individuals you want to attract. Establishing a good reputation for them to live up to, and prosper in, is easier to do when you use their authentic past actions rather than mere hopes and expectations.